FOR A FEW fleeting spring weeks, we gather exclusively fresh, wild blossoms for your cocktail. The blossoms in question are elderflowers, and the cocktail a stylishly simple creation made with St-Germain, the first liqueur in the world created in the artisanal French manner from freshly handpicked elderflower blossoms. Our story, however, does not end there. AFTER gently ushering the wild blossoms into sacks, and descending the hillside, a few of the men who gather blossoms for your cocktail, will then mount a bicycle a carefully ride the umbrells of starry white flower to a collection depot. Vraiment. In a matter of weeks, we will have gathered what will become St-Germain for that year. TO PUT THIS IN CONTEXT, we can safely say that no men will be wandering the hillsides of Poland this spring gathering wild potatoes for your vodka. Likewise, we know of no Bavarians planning to scour the German countryside in search of exotic native hops and barley for your beer. 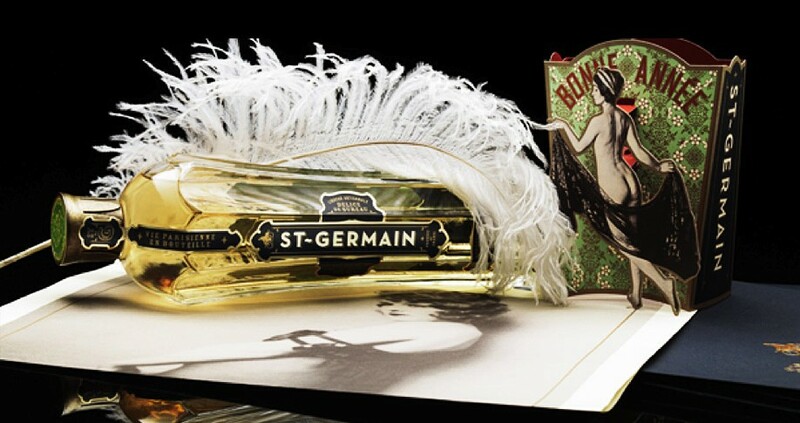 Yes, in this day and age St-Germain is exceedingly special and rare. Consequently, we are able to hand make only very limited quantities. AND WHAT OF THE TASTE of St-Germain? It has been said that Paris is a mélange curieux, a curious mixture of flavors, styles and influences. So it is with St-Germain. Neither passionfruit nor pear, grapefruit nor lemon, the sublime taste of St-Germain hints at each of these and yet none of them exactly. It is a flavor as subtle and delicate as it is captivating. A little like asking a hummingbird to describe the flavor of its favorite nectar. Très curieux indeed, n’est-ce pas? And on top of all that, it tastes great. The cocktail I made for the show using St. Germain, dubbed the “Elder Whimsy” by Charlie, is made with a strawberry infused vodka that I made a few weeks ago but you could make it with a strawberry flavored vodka off the shelf just as easily. 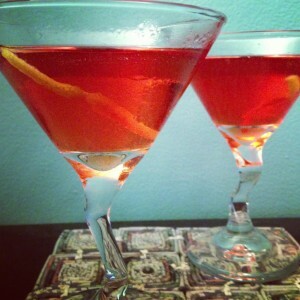 The result was a lovely summertime drink that would be perfect for Mother’s Day. Give it a try and tell me what you think. Shake over ice and pour into a cocktail glass. Top with a splash of club soda. Garnish with a twist of lemon. I HEART St. Germain <3<3<3<3 Your cocktail sounds lovely will have to try that.